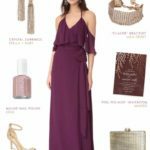 Dress for the Wedding’s goal is to curate and share some of the best elements of wedding style and fashion to make it easy for our readers to find their perfect wedding look! 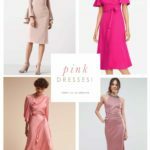 We feature all types of wedding attire with a special focus on wedding dresses, wedding accessories, wedding guest dresses, Mother-of-the-Bride dresses, bridesmaid dresses. 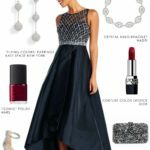 If you represent a designer who specializes in wedding dresses or bridesmaid dresses, we’d love to see your collection for consideration for potential features. Write to us here! We are also an Etsy affiliate, and love to feature Etsy shops and other handmade works by independent designers on Instagram and some blog features! If you are a wedding attire, accessory, or decor seller on Etsy, please tag us using #dressforthewedding on Instagram! We’d love take a look at your work for consideration! 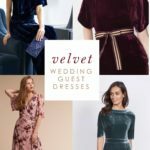 If you are the photographer/copyright holder and have an image from a styled shoot or an individual who would like to share an image from your own wedding, please visit us on Instagram, and tag us in the image, or with the #dressforthewedding and we will consider it for our Instagramfeed! Please make sure your image includes full credits to all vendors involved. Please also note, we are not able to respond directly to all submissions. 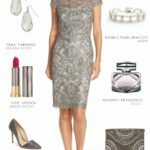 Dress for the Wedding accepts advertisers and sponsored posts from brands that we feel are a good fit with our content. 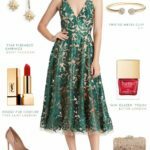 We have worked with brands such as BHLDN, Nordstrom, kate spade new york, Secrets Resorts, Teri Jon, Williams-Sonoma, Allure Bridals, Crate & Barrel, and ModCloth. We are happy to work with you to create a feature that suits your marketing needs. For more information or to receive our current media kit, please contact us for more information. Please note, due to email volume, we usually do not respond directly to all editorial PR requests, unless we plan on featuring your work. We reserve the right to review and select submissions based on on our own editoral decisions about the content and the aesthetic of our site.